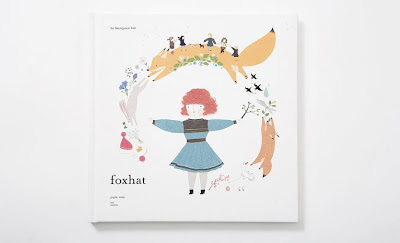 Today, I came across foxhat, a darling picture book by Korean author/illustrator Seungyoun Kim. Deciding it simply must have a place in my permanent book collection, I brought it up to the counter, where, much to my delight, the cashier slipped it into a lovely paper bag adorned with leaping rabbits, and tucked a sweet little card in alongside (extras like this excite me). 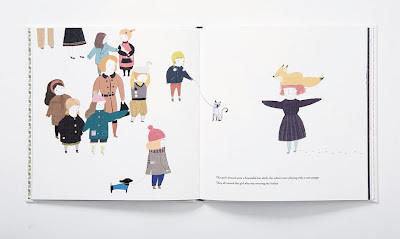 Kim wants to "continuously create book that are not easily forgotten after the first reading: books that are fresh and can be kept for a life time" - I think she's done just that with foxhat. I love the endearing English translation (it's available in both Korean and English), my favourite line being, "We are the best friends in the universe." God, I love Korea. Katie! 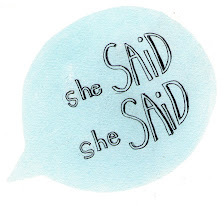 i love your blog..it makes me miss you. hope you have a lovely christmas! wish you were going to be in sarnia, if you are, call me for coffees. love corey. I so love when the store that you purchase things from appreciates you as a customer and makes your purchase extra special.